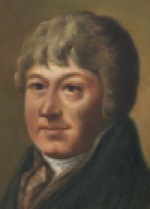 Krommer, born as Frantisek Kramar, was one of a rather large group of Bohemian-Moravian musicians who moved to Vienna during the late eighteenth century – in Krommer’s case not until 1795. His training was as a violinist and organist, and the largest part of his compositional output is instrumental, often featuring wind instruments. In 1818 he succeeded Kozeluch as Imperial Court Composer, a post which he retained until his death. His music was much esteemed in his day, as can be seen from the large amount which was printed in various European countries, and it is an appropriate candidate for revival today. The two quintets for oboe and strings are substantial major works, with a refreshingly unusual instrumentation, apparently here presented in modern editions for the first time. The two works for double reeds alone substantially augment the literature for those instruments.